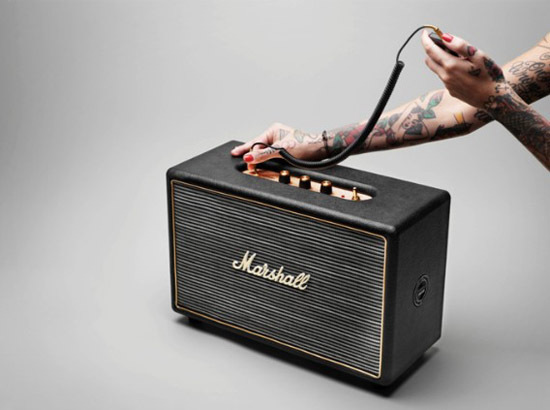 I'm kind of excited about this new Marshall home audio product (have you seen yet)? Bearing the Marshall's legendary script logo and named Hanwell, this active loudspeaker embodies Marshall's legacy of loud; bringing their big stage sound into the home. I've always loved our Marshall amp (even using it as an endtable from time to time); so to have a home speaker housed in the fret cloth and gold logo borrowed from vintage Marshall amps would be kind of a treat! The Hanwell is expected to hit stores in November 2012. More info here.